As one of the fashion capitals of the world, you don’t have to look far to find beautiful clothing in London. Seeing some of the most stunning and iconic fashions up close is often a rare event, which makes us that more excited to tell you about the must-see sartorial event of the season! 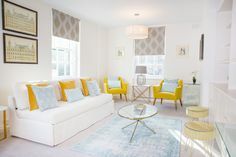 Currently exhibiting at Kensington Palace is the Estée Lauder sponsored, Fashion Rules Restyled which is certainly the fashion event of the season. This exhibition takes visitors on a journey through the iconic styles of Queen Elizabeth II, Princess Margaret and Princess Diana from the 1950s to the 1990s. With 18 couture dresses on display, this exhibition drips with diamonds, pearls and sophistication. From the very beginning, you can feel the historic significance of this exhibition. It’s not only the beauty of the dresses that makes it worth while, but the timelessness. The designers of these dresses are like fashion royalty in their own right, having created pieces that are chic and classic, yet still represent the trends of each decade. 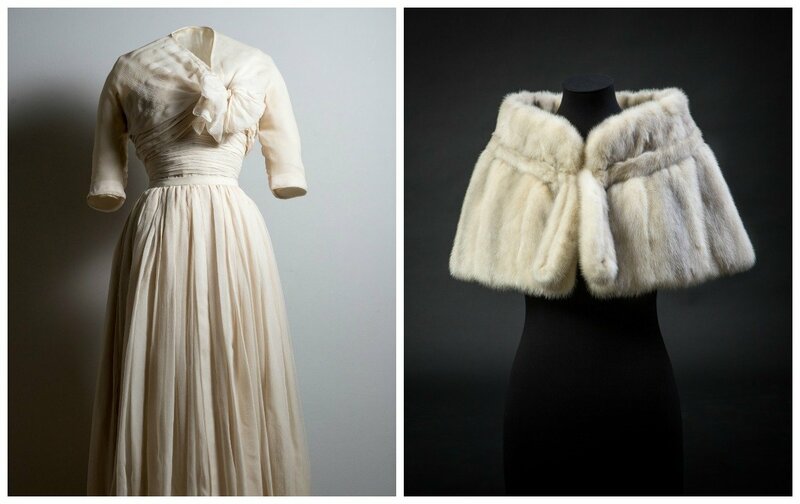 Some of the featured designers are Bruce Oldfield and Catherine Walker, who were two of Princess Diana’s go-to designers, Sir Hardy Amies, who received a Royal Warrant as official dressmaker in 1955, and Sir Normal Hartnell, who designed the wedding dresses of both Queen Elizabeth II and Princess Margaret. Known to be of a rebellious nature and a true lover of Dior, Princess Margaret’s famous style definitely translates to her wardrobe. From a collection of trendy sunglasses, to the Rose Pompon silk chiffon dress and jacket she wore to both the London Coliseum and the 1952 Royal Ascot (designed by Dior, of course), you can tell she had her way of combining elegance with edge. Even her accessories were that of a present day starlet. Two stunning pieces on display are the beaded bolero jacket she wore to the opening of Parliament, and a monogrammed fur wrap designed by Norman Rogul. 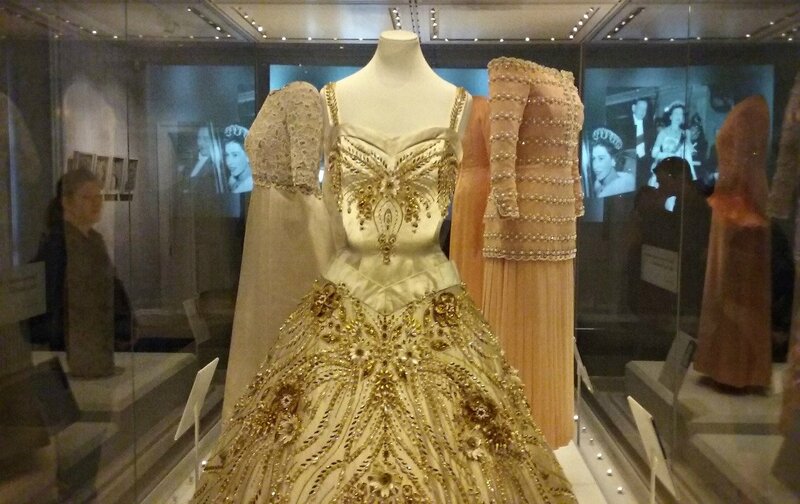 At this exhibition, you can expect many of the iconic dress worn by Diana, Princess of Wales. 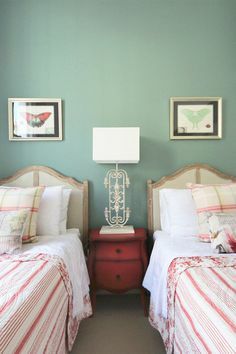 Two of which were made by Catherine Walker herself. 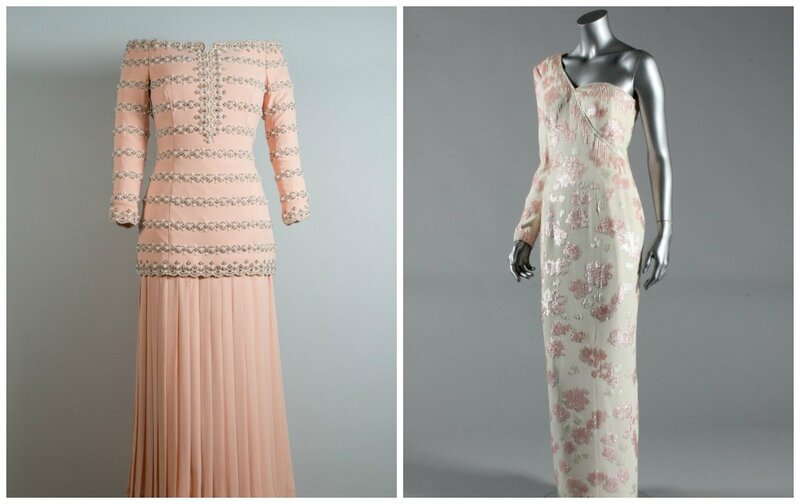 There is the salmon colored off-the-shoulder evening dress embellished with diamonds and pearls, which she wore to the Savoy Theatre’s 1993 reopening, and the one-shoulder floral print evening dress she wore to the President Collor of Brazil’s banquet in 1991. You also have the chance to see Zandra Rhode’s pink, beaded fairytale-style evening dress Princess Diana wore in 1986 to the State Banquet in Kyoto, Japan. Of course, some of the most incredible dresses come from the reigning Queen herself. Dress after dress, they are some of the most intricately designed garments you’ll ever see. From the gold embroidered gown she wore to London’s German Embassy in 1958, to the duchesse silk embroidered gown she wore to the 1963 opening of the New Zealand parliament. 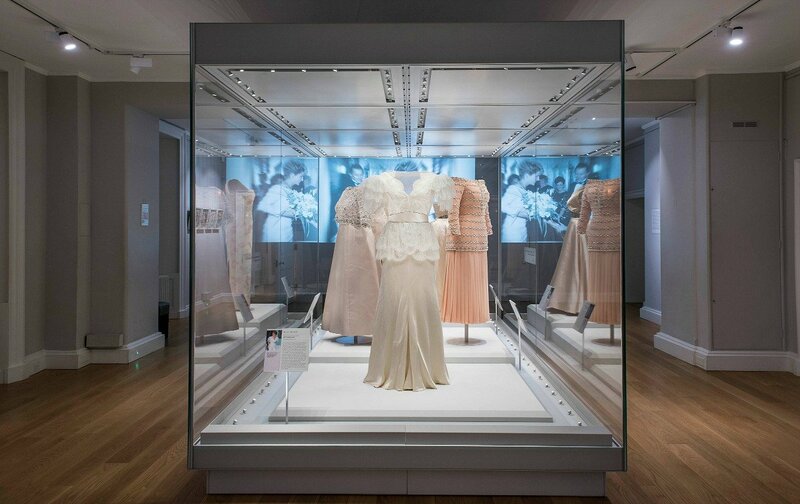 The displays really show how tailored and pristine the designers were in creating these pieces for Queen Elizabeth II (as well as her love for fit-and-flairs). But perhaps the most spectacular garment is the ivory evening dress she wore during a state visit to Paris in 1957, designed by Norman Hartnell. Not only is this dress decorated in precious materials such as gold beads, faceted glass and pearls, but this embroidery is also formed to resemble wild flowers, grass and bees, making it into a natural work of art. 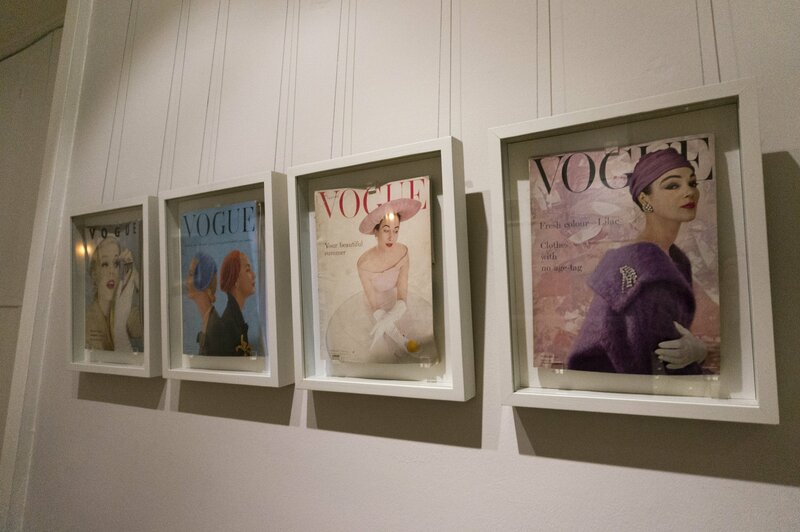 Along with the dresses, works of media are displayed on the walls, including framed magazine covers featuring female members of the royal family, framed sketches of dress ideas etched by these historic designers, and projected videos of the events that the three monarchs wore these garments to. 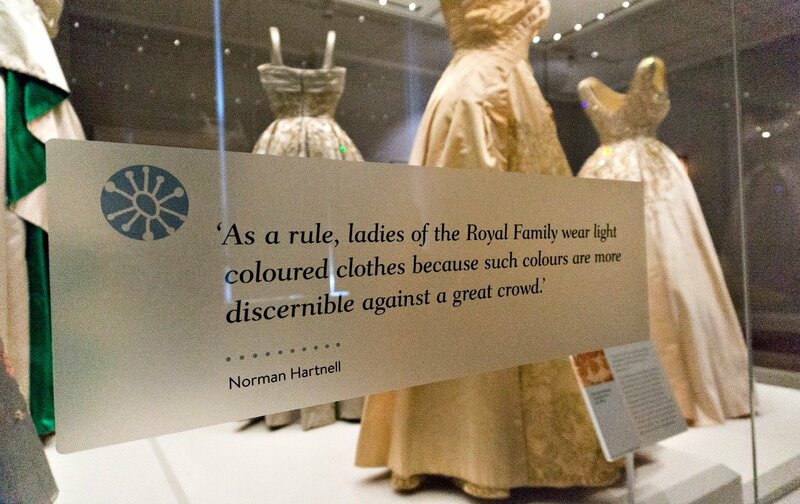 All in all, the Fashion Rules Restyled exhibition is a must-see, for where else can you get this close to the wardrobes of the royals? Click here to book tickets to this must-see exhibition. Posted on Tuesday, August 9th, 2016 at 4:54 pm in What's On. You can follow any responses to this entry through the RSS 2.0 feed. You can leave a response, or trackback from your own site.